24/11/16 -- EU grains closed mixed at the end of a lifeless session, dulled by US markets being closed for Thanksgiving. At the finish Nov 16 London wheat was unchanged at GBP139.80/tonne, Dec 16 Paris wheat was down EUR0.50/tonne at EUR168.25/tonne, Jan 17 Paris corn ended EUR0.25/tonne firmer at EUR166.50/tonne and Feb 17 Paris rapeseed closed EUR2.00/tonne higher at EUR404.00/tonne. With America shut fresh news was always likely to be thin on the ground, and so it proved. EU soft wheat exports reached 481,000 MT this week, up 39% on a week ago and taking the season to date total to 9.4 MMT, a 9% increase on this time a year ago. EU barley exports were only 51,000 MT, down 55% on last week. Russia reported their 2016 corn harvest to be 79.6% complete at 13.3 MMT. The last of the spring wheat and barley harvests are also still being wrapped up. Russian winter plantings for the 2017 harvest are just about done on 17.3 million ha, with crops mostly covered by a thin layer of snow. This is around 1 million ha more than last year and a new record high, say Agritel. Winter wheat will consist of around 14 million ha of this total, they say. The euro remains weak, supporting Paris grains. The pound hovers around 1.1750 versus the single currency - a 2 1/2 month high. US markets remain closed Friday morning but will trade a holiday-shortened session Friday afternoon (London time). 23/11/16 -- Soycomplex: Beans closed higher in pre-Thanksgiving trade as soyoil surged following the decision by the EPA to raise the biofuels requirements to 19.28 billion gallons for 2017 versus 18.11 billion this year. Strong Chinese crush margins and the weak Chinese yuan added support. The prospect of another record Brazilian crop down the line caps gains though. Rabobank forecast US soybean prices of $10.70/bushel this spring. Funds were estimated as finishing net buyers of 3,000 lots of soybeans on the day. Jan 17 Soybeans closed at $10.34 1/4, up 4 1/4 cents; Mar 17 Soybeans closed at $10.43, up 4 1/4 cents; Dec 16 Soybean Meal closed at $316.40, down $8.50; Dec 16 Soybean Oil closed at 36.85, up 237 points. Corn: The market closed with little change heading into the holiday. Markets are closed tomorrow for Thanksgiving and trade will be thin on Friday. The US Energy Dept reported daily ethanol production last week was 1.014 million barrels, down 3,000 bpd on the previous week. South Korea's KOCOPIA are in the market for 50,000 MT of optional origin corn for March shipment. South Africa are forecasting corn plantings up 35% this year following drought reduced sowings a year ago. In Russia, where corn harvesting is ongoing, the Ag Ministry reported things at 78.8% complete for a crop of 13.1 MMT to date. Dec 16 Corn closed at $3.50 3/4, down 1/4 cent; Mar 17 Corn closed at $3.59 1/4, up 1/4 cent. Wheat: The wheat market ended mixed but mostly lower. The Indonesia Ag Ministry is aiming for no corn imports in 2017, as a drive towards achieving self-sufficiency. They could import 35% more feed wheat as a result it is thought. Jordan cancelled their tender for 100,000 MT of optional origin hard wheat and immediately re-tendered for the same. Bangladesh are said to have agreed to buy 200,000 MT of Russian wheat. Japan bought 20,300 MT of feed wheat of optional origin for December shipment. Rabobank forecast CBOT wheat prices in the final quarter of 2017 at $4.60/bushel. Dec 16 CBOT Wheat closed at $4.01 1/2, down 5 3/4 cents; Dec 16 KCBT Wheat closed at $4.15 1/2, down 1 cent; Dec 16 MGEX Wheat closed at $5.27 1/4, up 1/4 cent. 23/11/16 -- EU grains closed mixed amid a general lack of news. Most noteworthy movement of the day was Paris rapeseed finally smashing through key resistance at EUR400/tonne on front month Feb 17. At the close Nov 16 London wheat was unchanged at GBP138.75/tonne, Dec 16 Paris wheat was EUR0.50/tonne lower at EUR168.75/tonne, Jan 17 Paris corn was unchanged at EUR166.25/tonne and Feb 17 Paris rapeseed had gained EUR7.75/tonne to EUR406.00/tonne. It was April 2014 that we last saw Paris rapeseed close this high. 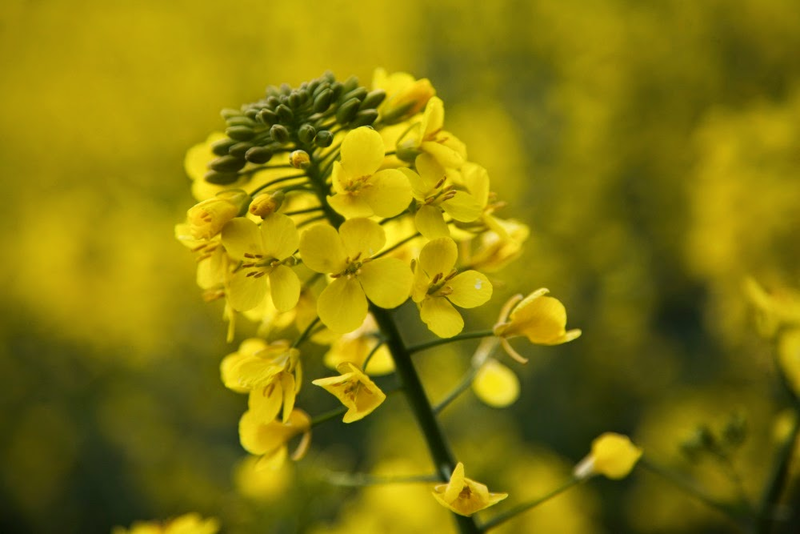 "Rapeseed has been boosted by the surge of veg oils after the decision from US Environmental Protection Agency (EPA) to raise the biofuels requirements to 19.28 billion gallons for 2017 vs 18.11 this year. This volume will be spread between 15 billion of conventional biofuel which is mainly produced from corn and 4.28 billion of biodiesel produced from soy oil," noted Agritel. Malaysian palm oil futures touched 4-year highs and US soybean oil prices surged on the news. US markets are closed tomorrow for Thanksgiving. Otherwise fresh news was generally lacking. Spain said that they'd imported 1.25 MMT of grains in September, a 19% reduction versus the same month in 2015. Wheat imports were 878.8 TMT versus 967.7 TMT a year previously. Algeria tendered for 50,000 MT of feed barley for January shipment. Jordan cancelled their tender for 100,000 MT of optional origin hard wheat and immediately re-tendered for the same as is their want. Bangladesh are said to have agreed to buy 200,000 MT of Russian wheat. Russia said that their 2016 grain harvest had limped to 96.4% complete at 123.5 MMT in bunker weight. Wheat accounts for 75.8 MMT of that total and barley a further 19.1 MMT. 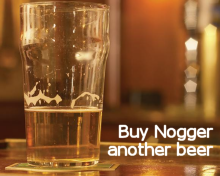 Harvesting of both is nearly over. Corn harvesting is ongoing at 78.8% complete for a crop of 13.1 MMT to date. Winter plantings for the 2017 harvest are just about complete in Russia at 99.8% done. Rusagrotrans forecast Russia's first half 2016/17 (Jul/Dec) grain exports at 20.5 MMT, down 1 MMT on the same period in 2015/16. Ex-farm prices in the North East of England are now amongst the highest in the country and above the level of London futures, said the HGCA. Strong demand from the bioethanol sector seems to be the reason, they noted. "However, the potential for further gains could be more limited as the gap between imported maize and UK wheat prices is now narrowing. The wider price gap between the North East and other regions also increases the incentive to haul wheat into the region," they added. 22/11/16 -- Soycomplex: Beans closed around 10 cents higher. 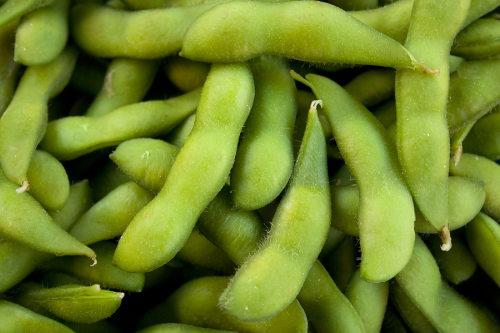 There were no daily soybean export sales, but the USDA did announce 30,000 MT of soybean oil for delivery to China during the 2016/17 marketing year. Brazilian soybeans are said to be 77% planted versus 70% a year ago and 76% on average. The top producing state of Mato Grosso is 95.5% done versus 89.7% a year ago. Parana is 90% complete versus 80% a year ago. Argentine beans lag a little, they are 24.2% sown versus 33% on average and 32% this time last year. Funds were credited with being net buyers of 11,000 contracts of soybeans on the day. Jan 17 Soybeans settled at $10.30, up 9 3/4 cents; Mar 17 Soybeans settled at $10.38 3/4, up 10 1/4 cents; Dec 16 Soybean Meal settled at $324.90, up $5.20; Dec 16 Soybean Oil settled at 34.48, down 16 points. Corn: Corn closed around a cent or so higher. Argentina reported that their corn crop was 40.3% planted versus 37% last year and 48% on average at this time. Ukraine reported that their grain harvest was 94% complete at 60.15 MMT. That includes 79% of this year's corn for a crop of 21.03 MMT so far. Russia said that it's harvest was 96.2% complete at 122.8 MMT, including 12.4 MMT of corn (74.8% harvested). The French corn harvest is just about over with a crop of no more than 12 MMT expected according to Agritel. Funds were credited with buying 5,000 contracts of corn during the session. Weekly US ethanol production data from the US Energy Dept is due tomorrow. Output was just over 1 million/day last week. Dec 16 Corn settled at $3.51, up 1 1/4 cents; Mar 17 Corn settled at $3.59, up 1 1/4 cents. Wheat: Wheat closed mixed. Despite bumper production this year, Russia's exports are lagging year ago levels. SovEcon lowered its forecast for 2016/17 Russian wheat exports to 29 MMT from 30 MMT previously. This year's Russian wheat harvest is said to be 98.1% complete at 75.8 MMT. India are reported to have been active buying Ukraine wheat lately, booking around 1 MMT in recent weeks. Traders there say that this year's Indian wheat harvest was likely only around 88 MMT versus the official government estimate of 93.5 MMT. Taiwan are in the market for 85,000 MT of US milling wheat for Jan/Feb shipment. Around 10% of the spring wheat crop in Canada is thought likely to be still out in the fields. Dec 16 CBOT Wheat settled at $4.07 1/4, down 3 cents; Dec 16 KCBT Wheat settled at $4.16 1/2, up 2 cents; Dec 16 MGEX Wheat settled at $5.27, up 1/4 cent. 22/11/16 -- EU grains closed mixed, but mostly a touch higher on the day, amid a general lack of fresh news. The day ended with Nov 16 London wheat up GBP0.45/tonne at GBP138.75/tonne, Dec 16 Paris wheat was EUR1.00/tonne higher at EUR169.25/tonne, Jan 17 Paris corn rose half a euro to EUR166.25/tonne and Feb 17 Paris rapeseed was down EUR1.50/tonne to EUR398.25/tonne. 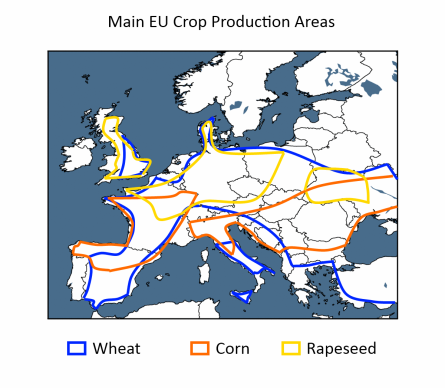 The EU Commission reported "somewhat difficult sowing and emergence conditions but no major concerns," for EU crops. 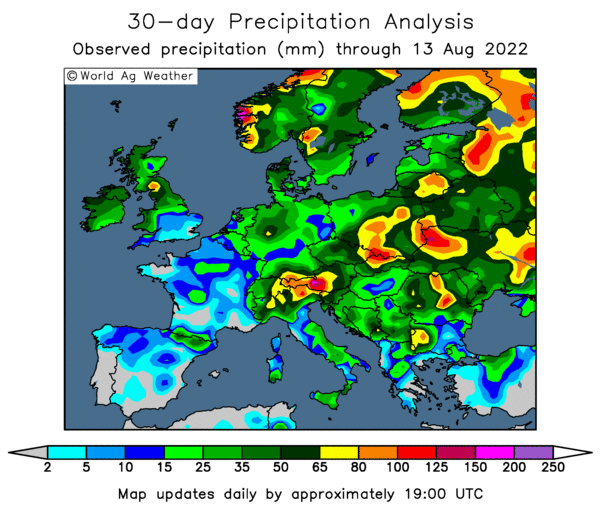 "Sowing and emergence conditions for small grains were somewhat difficult, but within the normal range, whereas rapeseed sowing activities and emergence were hampered by overly dry conditions in France, Benelux and Germany," they said. 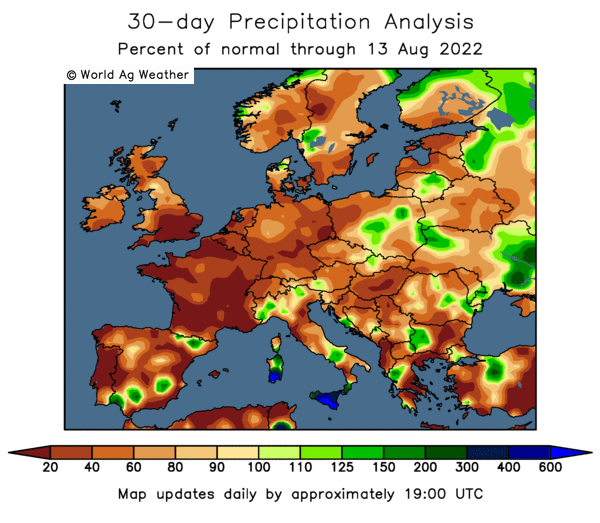 For winter wheat: "In much of Germany, the Benelux countries and northern and western France, overly dry soil conditions during the normal sowing window (second half of September and first half of October) delayed sowing activities and/or resulted in the poor emergence of crops that had already been sown," they noted. 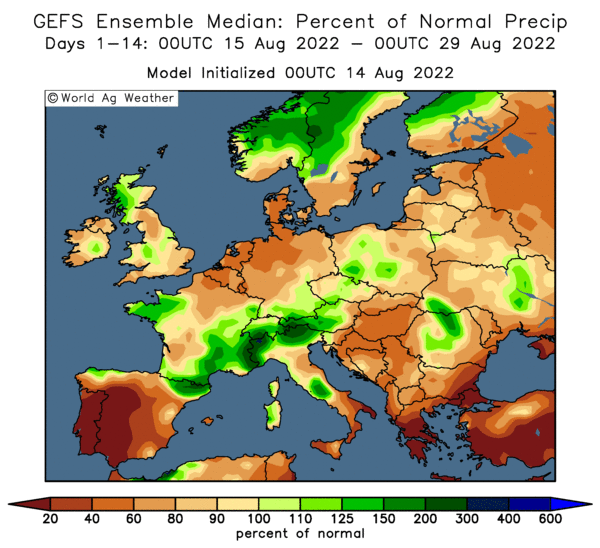 For winter rapeseed: "Precipitation was clearly below average from mid-August to mid-September in large parts of France and Germany, the two main EU-28 producers of rapeseed. As a consequence of the dry conditions, part of the rapeseed was not sown at all in France. "Conditions were similar in Germany, especially in the North and East of the country, where persistent dry conditions often prevented rapeseed from emerging properly. This is especially the case on heavy soils, which were already dry at the time of sowing. The early establishment of rapeseed was not optimal, and many fields show uneven crop development. Unfavourable dry conditions continued throughout October...this led to some re-ploughing," they added. In other news, Ukraine reported that their harvest was 94% complete at 60.15 MMT. That includes 79% of this year's corn for a crop of 21.03 MMT so far. Russia said that it's harvest was 96.2% complete at 122.8 MMT, including 12.4 MMT of corn (74.8% harvested). India are reported to have been active buying Ukraine wheat lately, booking around 1 MMT in recent weeks. Traders there say that this year's Indian wheat harvest was likely only around 88 MMT versus the official government estimate of 93.5 MMT. Ukraine said that their grain exports so far this season (to Nov 22) are 16.8 MMT. That includes 9.5 MMT of wheat, 3.2 MMT of corn and almost 4 MMT of barley. 21/11/16 -- Soycomplex: Soybeans closed sharply higher, helped by another week of stellar weekly export inspections - 2.666 MMT (market expectations of 1.7-2.0 MMT). Loadings to date are running 3.7 MMT above a year ago versus a projected USDA annual increase of 3.1 MMT and currently showing little sign of letting up. The Chinese Yuan fell to its weakest level in 8 years today, adding to the bullish tone. South American weather looks friendly, but their crop is a long way from being a reality yet. Fund money was credited with being a net buyer of around 13,000 soybean contracts on the day. Jan 17 Soybeans settled at $10.20 1/4, up 26 1/2 cents; Mar 17 Soybeans settled at $10.28 1/2, up 26 1/4 cents; Dec 16 Soybean Meal settled at $319.70, up $9.30; Dec 16 Soybean Oil settled at 34.64, up 59 points. Corn: The corn market closed around 4 cents higher, garnering support from surging soybeans. Weekly export inspections came in at 875,976 MT, in line with the expected 800 TMT to 1 MMT. Loadings to date are up 5.3 MMT versus the projected 8.32 MMT annual estimate from the USDA. The current soybean/corn price ratio is now 2.9:1, which will have US growers thinking about planting more soybeans and less corn in 2017 if it stays like that. Ukraine reported their 2016 corn harvest to be 79% complete at 20.84 MMT. Ukraine seaports exported 616.7 TMT of grains last week of which two thirds (408.2 TMT) was corn. Russian seaports shipped out 444.6 TMT of grains last week of which 26% (115.2 TMT) was corn. Russia's season to date corn exports are 1.45 MMT, but should pick up from here. Fund money was credited with being a net buyer of around 10,000 corn contracts on the day. Dec 16 Corn settled at $3.49 3/4, up 4 1/4 cents; Mar 17 Corn settled at $3.57 3/4, up 4 1/4 cents. Wheat: The wheat market closed mixed, Weekly export inspections of 429,770 MT were towards the lower end of trade estimations. The bulls talk dryness in some the key US winter wheat growing areas, along with ideas of reduced acres. The bears say that it's the here and now that's more important, and that the world remains awash with wheat. Still, US YTD export inspections are running more than 29% ahead of a year ago. Winter wheat planting in Ukraine is said to be 95% complete. Conditions in the Ukraine are better than last year with 83% of the crop in satisfactory to good condition. The Russian Ministry said that season to date grain exports (to Nov 16) total 14.77 MMT, a 4.6% decrease versus the same period in 2015/16. Wheat accounts for 79% (11.69 MMT) of that total, with barley a further 1.55 MMT and corn 1.45 MMT. Dec 16 CBOT Wheat settled at $4.10 1/4, up 2 1/4 cents; Dec 16 KCBT Wheat settled at $4.14 1/2, up 3/4 cent; Dec 16 MGEX Wheat settled at $5.26 3/4, down 2 1/2 cents. 21/11/16 -- EU grains closed mostly higher, save for London wheat which finished lower after sterling climbed to a new recent high against the euro. At the finish Nov 16 London wheat was down GBP1.60/tonne at GBP138.30/tonne, Dec 16 Paris wheat was up EUR0.75tonne at EUR168.25/tonne, Jan 17 Paris corn ended EUR0.50/tonne firmer at EUR165.75/tonne and Feb 17 Paris rapeseed closed EUR2.25/tonne higher at EUR399.75/tonne. London wheat seems unable, for the time being at least, to break and hold above GBP140/tonne on front month Nov 16. A weak euro, rather than a string sterling, today didn't help. The pound closed above 1.17 against the single currency for the first time in more than 2 months. Market analysts fear an anti-EU backlash vote coming up in the French and German general elections in the New Year, undermining the entire future of the eurozone, following Brexit and the surprise Trump election. That's putting the euro under pressure, supporting the market on the continent. Rapeseed meanwhile continues to test the EUR400/tonne level, helped today by firmer crude oil prices. It hasn't closed above this level since April 2014. The Ukraine Ag Ministry raised their forecast for this year's grain crop from 63 MMT to 64 MMT. Harvesting of that is now said to be 97% complete at 59.96 MMT. That includes a corn harvest that's 79% complete at 20.84 MMT. With the corn harvest winding down, that's the crop on which they are now starting to concentrate their main export effort. Total grain exports via seaports last week were 616.7 TMT (up from 463.3 TMT the previous week). That included 158 TMT of wheat, 408.2 TMT of corn and 50.5 TMT of barley. The Ministry said that Ukraine winter wheat planting is now 95% complete on 5.9 million ha, along with 85% of the winter barley area (877k ha). Winter rapeseed planting in Ukraine increased for the first time since 2013 this year, with the Ministry saying that 85% of the crop was sown in the optimum time window. Emergence is placed at 90%. Russia's seaports exported 444.6 TMT of grains last week, down from 578.8 TMT The previous week, as their efforts struggle a little. Last week's total included 326.1 TMT of wheat, and 115.2 TMT of corn. The Russian Ministry said that season to date grain exports (to Nov 16) total 14.77 MMT, a 4.6% decrease versus the same period in 2015/16. Wheat accounts for 79% (11.69 MMT of that total, with barley a further 1.55 MMT and corn 1.45 MMT. 18/11/16 -- Soycomplex: Beans closed higher on the day and for the week. Strong Chinese demand underpins the market, but decent South American weather and a weaker Brazilian real cap gains. The USDA announced another private export sale of 165,000 MT of US soybeans for delivery to China during the 2016/17 marketing year under the daily reporting system. Jan 17 Soybeans settled at $9.93 3/4, up 4 1/4 cents; Mar 17 Soybeans settled at $10.02 1/4, up 3 3/4 cents; Dec 16 Soybean Meal settled at $310.40, down $1.10; Dec 16 Soybean Oil settled at 34.05, up 35 points. For the week that puts Jan 17 beans 7 3/4 cents higher. 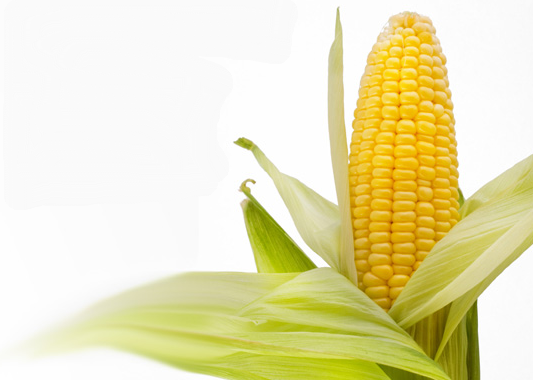 Corn: The market closed around 3-5 cents higher on the day and for the week. Producer selling remains light at these levels despite harvest pressure. South Korea's NOFI were said to have bought 68 TMT of optional origin corn, and their FLC purchased 117 TMT of the same. MFG were reorted to have bought 132 TMT of similar material. The Buenos Aires Grain Exchange reported Argentine corn planting at 40.3% complete on an anticipated final area of 4.9 million ha. "One of the major Chinese grain producing provinces is turning to subsidies, equivalent to $1.10/bu, to get processors to consume the current harvest," report FCStone. Dec 16 Corn settled at $3.45 1/2, up 3 1/2 cents; Mar 17 Corn settled at $3.53 1/2, up 3 3/4 cents. For the week Dec 16 corn was up 5 1/4 cents. Wheat: The wheat market ended higher on the day and for the week. The Buenos Aires Grain Exchange reported Argentine wheat planting at 12.1% complete. They have total plantings forecast at 12.5 million ha, an increase of 21% on last year. Japan purchased 136,726 MT of wheat, of which 35 TMT was from Canada and the balance from the US in their regular weekly tender. French winter wheat was said to be 95% sown, two points behind year ago levels. Crop conditions were placed at 95% good to very good, unchanged on a week ago, but 2 points behind this time last year. Dec 16 CBOT Wheat settled at $4.08, up 5 cents; Dec 16 KCBT Wheat settled at $4.13 3/4, up 5 cents; Dec 16 MGEX Wheat settled at $5.29 1/4, up 2 1/2 cents. For the week, Chicago wheat settled 5 cents higher, with Kansas up 3 1/2 cents and Minneapolis 9 1/4 cents firmer. 18/11/16 -- EU grains closed almost uniformly higher on the day, and for the week. At the close Nov 16 London wheat was up GBP0.85/tonne at GBP139.90/tonne, Dec 16 Paris wheat was EUR2.75/tonne higher at EUR167.50/tonne, Jan 17 Paris corn rose EUR0.75/tonne to EUR165.25/tonne and Feb 17 Paris rapeseed gained EUR5.00/tonne to EUR397.50/tonne. For the week London wheat was GBP2.40/tonne firmer, Paris wheat was up EUR6.00/tonne, corn added EUR2.75/tonne and rapeseed was EUR5.25/tonne higher. 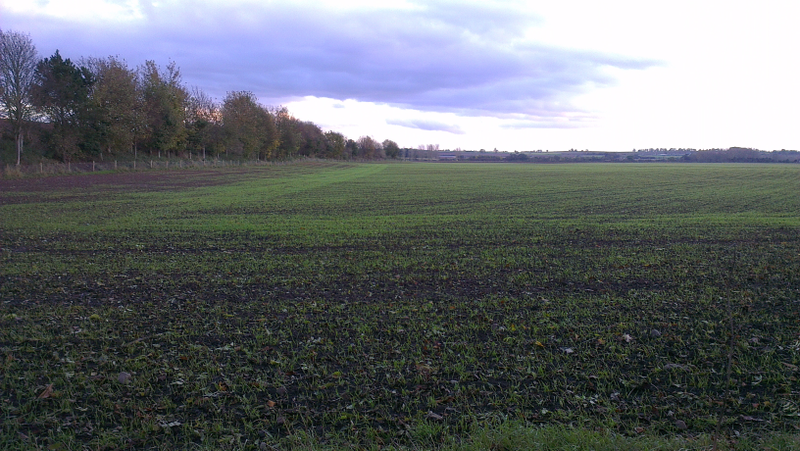 Rapeseed supplies are proving hard to find after another difficult UK and EU harvest year. Old World reported that the EU imported 370 TMT of rapeseed in September, down from 379 TMT a year previously. Availability from normal top supplier, Ukraine, dwindled to just 76 TMT versus 298 TMT in September 2015. Total Q1 rapeseed imports (Jul/Sep) were 613 TMT versus 749 TMT a year ago, with Ukraine providing 469 TMT of that total (down from 629 TMT in 2015). The HGCA report that the proportion of UK wheat samples hitting a high quality spec is the highest since 2003 this year. "The 2016 results back up anecdotal comments suggesting the UK is in a ‘unique’ situation this season in terms of quality. A higher quality domestic crop this season could encourage UK millers to use more domestic wheat, displacing imports, which we have started to see. Furthermore, a lower average wheat specific weight this season means that extraction rates are likely to be lower, which could see an increased usage in wheat milled," they say. This could also help explain the relatively buoyant price of feed wheat at the moment, coupled with increased demand for the same from the bioethanol industry. FranceAGriMer reported that the French corn harvest had reached 95% complete, similar to a year ago. French winter wheat was said to be 95% sown, two points behind year ago levels. 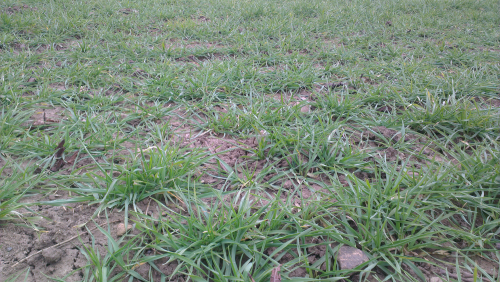 French winter barley is 99% sown, the same a last year. French winter wheat crop conditions were placed at 95% good to very good, unchanged on a week ago, but 2 points behind this time last year. Winter barley was rated 92% good to excellent, down 2 points on last week and versus 98% at this point a year ago. FranceAgriMer said that the country had exported 1.942 MMT of soft wheat in Q1 of 2016/17, a 28% reduction on a year ago. Egypt's GASC said that they are to add Paraguay, Bulgaria and Hungary to their list of approved wheat suppliers.